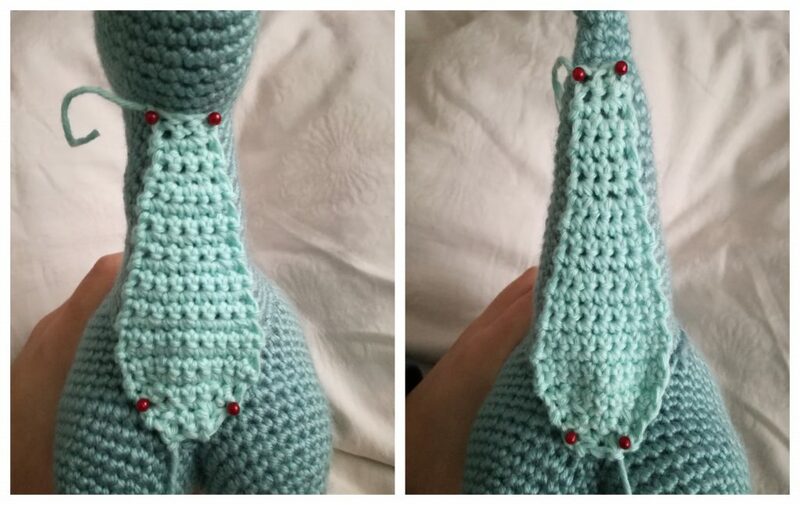 If you’re done with the crochet part of Dexter the Dinosaur pattern, grab your tapestry needle and some toy stuffing and let’s get to work. 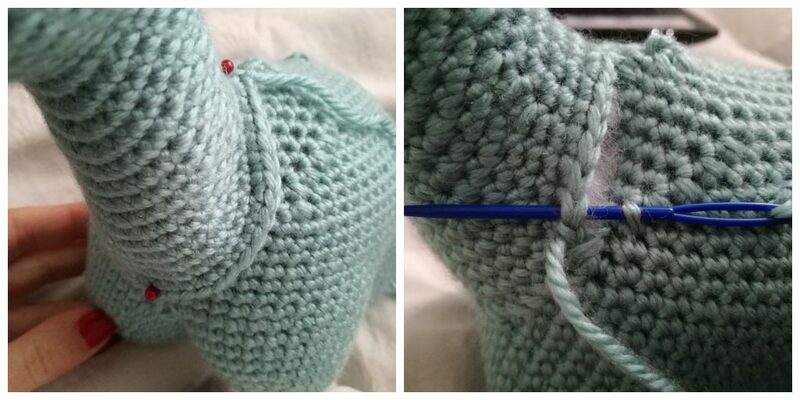 Basic sewing skills are required. 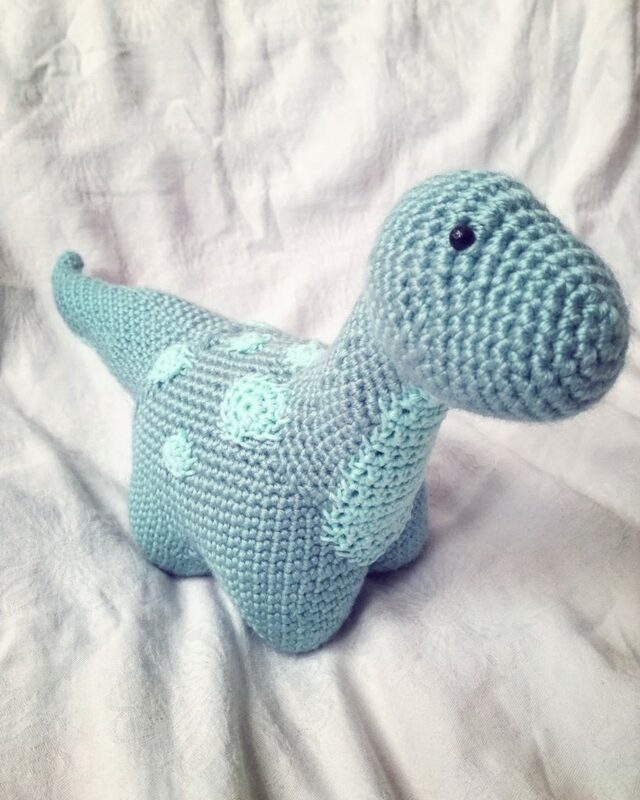 The new pattern for my crochet dinosaur, worked from legs up, can be found here. If you prefer the old version worked from the top down, you can find it here. 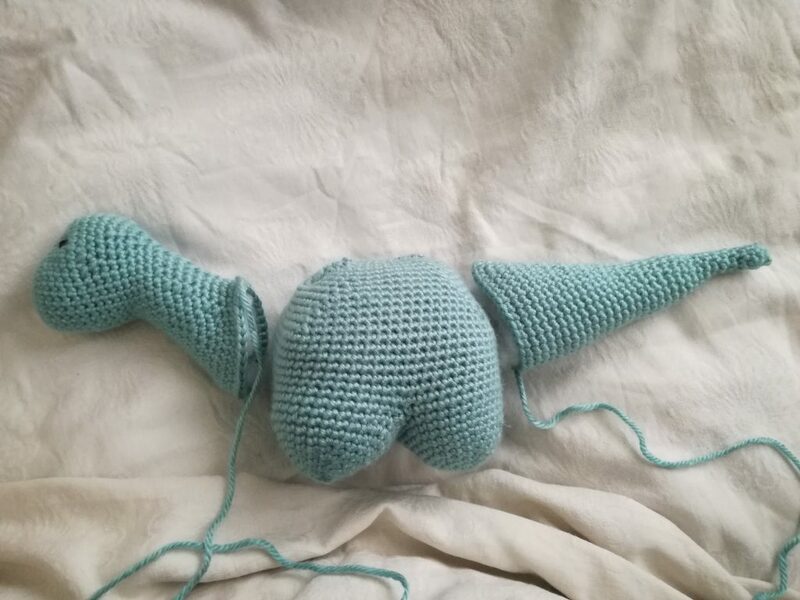 Before you sew the head and the tail to the body, add more stuffing to make it firmer. Have fun with the dots, make as many of those as you want in any size you want. 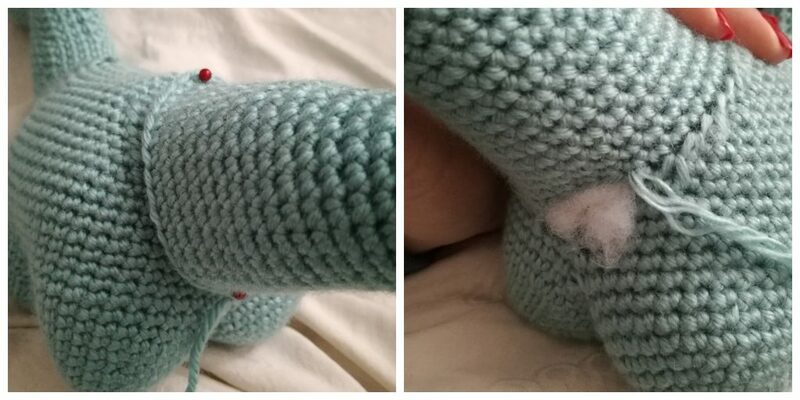 It’s easier to sew smaller dots with a sewing needle. If you have any questions or comments, feel free to contact me in comments section of this post, on my Facebook page, or by e-mail [email protected] Also, if you make Dexter, send me some pictures, I’ll publish them on my Facebook page. You can tag me on Instagram @barbarapecek.